PLEASE NOTE: This title / movie a Blu-ray 3D disc, which is only compatible with 3D Blu-ray players and Playstation 3. 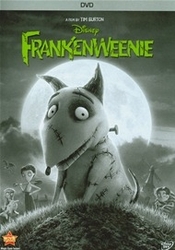 Essentially a Tim Burton homage to the classic 1931 film Frankenstein, Frankenweenie is a stylized black-and-white, stop-motion animated movie about a very smart boy named Victor and his love for his pet dog Sparky. When Sparky gets hit and killed by a car, Victor is heartbroken at the loss of his only friend. Then, in his science class, Victor's teacher demonstrates how electrical impulses make muscles move. Victor gets the sudden inspiration to harness the power of lightning to bring back his friend and win the school science fair at the same time. Victor's experiment tests the limits of science and love, provokes jealousy in his classmates, sends a serious shock wave through the neighborhood, and generates unintended consequences that threaten the entire community. 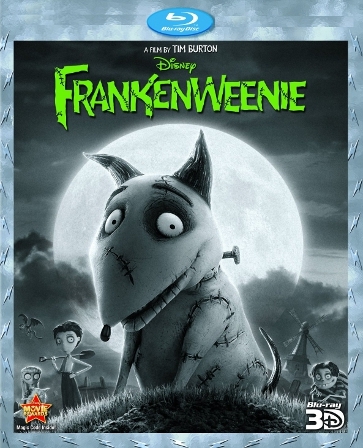 This film is funny and engaging, especially to those familiar with the original Frankenstein, but the plot does feel rather piecemeal.